An area of South-East London lying within the London Borough of Southwark. 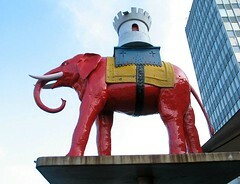 It's basically the area surrounding the Elephant and Castle roundabouts, at the border of the SE1 and SE17 postal districts. The area is also known as Newington. Last edited 2012-03-19 08:39:55 (version 9; diff). List all versions. Page last edited 2012-03-19 08:39:55 (version 9).